Hi, guys today We are back with another tutorial on how to earn real cash With Dream11. By using this method, you can Play and win Unlimited money with dream11 without any investment. Dream11 is a Fantasy Sports Website which allows you to create a virtual team of the favorite sportsperson in Sports like Cricket, Soccer, and Ruby. Dream11 has over 5 million active users who are earning lakhs by participating in the leagues. It also provides 100 Rs as signup bonus by which you can compete in the first league. It is 100% genuine website then all fantasy website over the Internet. 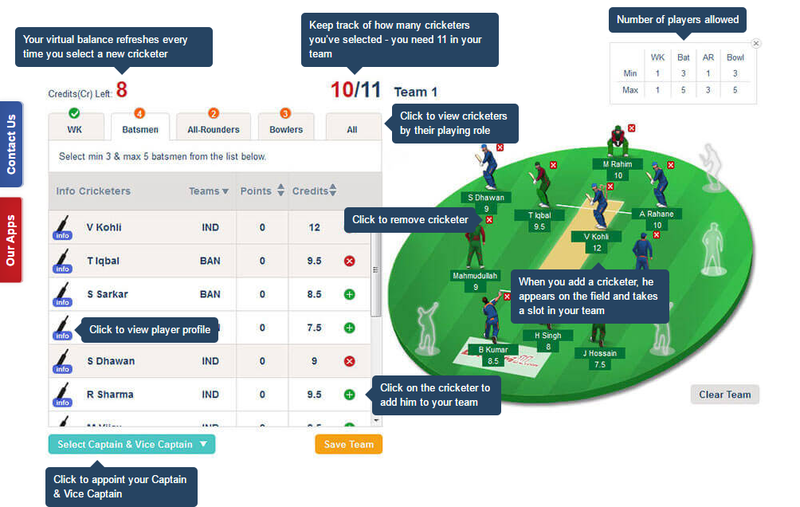 Dream11 came up with many Fantasy Games like cricket, football, kabaddi, etc. 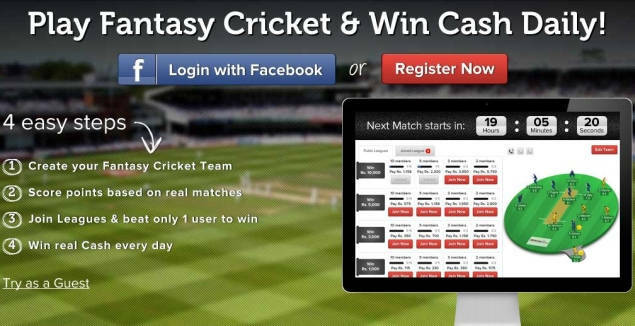 but In this post, we are going to Stick with fantasy cricket for this post as Cricket is well known to everyone and Understanding its procedure is easy. Step 1. First, Signup to the dream 11 website or Download the dream11 Mobile website and Signup. Note: Enter this Referral Code by Clicking on Invited by a friend while signing up to Get 100rs as the signup bonus. Step 2. In the Main screen, you will see the all upcoming Cricket matches. Step 3. Now, Click on the match you want to participate or familiar with abilities of the cricket players and Click Create team. Step 4. On the Screen, You see the Players list of the Both teams with placement chart, and you need to select 11 players for your virtual team from the list. Step 5. You will be awarded 100 Credits for every match for the selection 11 players for making the team. Number of Batsman for the team: 3 min and 5 max. No of All rounders for the team: 1 min and 3 max. No of Bowlers for team: 3 min and 5 max. Step 6. Now select the team for Dream11 league using the Credits provided and after picking the players you will get a popup asking you to select the Captian and Vice captain for your team. Here is the Trick part to win a league in Dream11. You win totally depends on the selection of Captain and vice captain as Captain get 2X points and Vice Captain gets 1.5X points as you can see in the below picture. So, select the Captain and vice-captain by past performance. Step 7. You have Successfully created a team. Now you need to Join League which is available and according to your budget. You can Join a league by paying the Joining amount which varying from 20rs to 10000rs. Step 8. Now you need to wait for the Cricket match to complete and then points will be allotted to every player according to fantasy Point system in Dream11. Dream11 is running Refer a friend Campaign in which you can earn Rs100 for every friend. You can refer any number of friends and earn unlimited. Login into Dream11 Account using your login details. Click on refer a friend in the Top Bar of the dashboard. Now you will see the Refer Link/ invite code. Copy the Link/invite code and Share it with your friends. You will get your referral bonus only after your friends participate in the any of the cash league and Completes it. Note: Referral campaign changed terms. You will get only referral bonus after your friend verifies Mobile and email and spend money in the cash leagues. I.e You will earn 20rs for every 100rs spends in cash leagues. So, if your friend spends 500 in cash leagues, then you will 100rs leagues. Always join the league which has below 10 participants because Winning chances are very high. Try to play international matches until your expertise with dream11. Understand dream11 and test by participating the free leagues to earn skill points. Try to take part in 2-3 leagues with different teams to increase your winning chances.